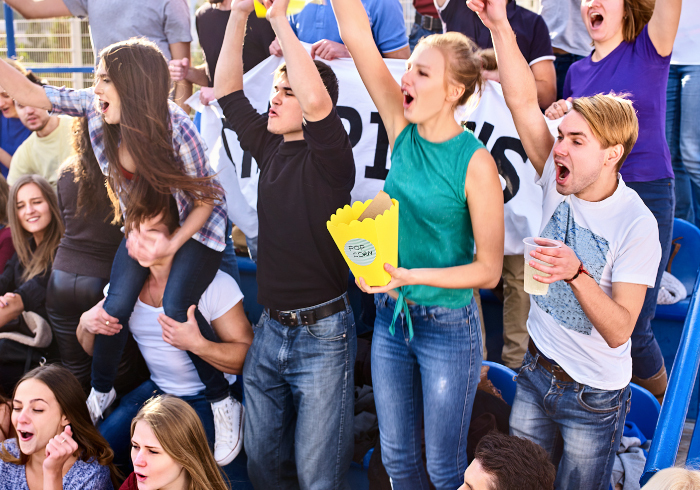 Find new ways to engage students, reenergize your fanbase and create the personal experience that Gen Z sports fans want. Will Gen Z sports fans change college sports? It’s a question many are asking as college football saw the second largest attendance drop in its history in 2017. With the growing popularity of non-traditional sports like esports and declines in traditional sports’ attendance and viewership, everyone from college and university athletic directors to NFL team leaders search for ways to better reach this elusive generation of potential fans. This generation does not remember a time before mobile internet access. They use multiple screens, multiple devices and multiple platforms. These traits are defining the future of retail, but they also impact sports. Traditional ratings may not be the best way to track the interest of younger generations. The number of households that pay for traditional television has dropped 10 percent in the past two years. For this generation, YouTube is often their go-to source for entertainment and 71 percent have Netflix subscriptions. In comparison, only 36 percent report paying for traditional television. However, the problem may be deeper than just how Gen Z sports fans choose to watch their favorite teams. Traditional sports game attendance has been dropping, too. In a recent study, 52 percent of Gen Z males between the ages of 13 and 21 spend more time following nontraditional sports than traditional sports, and 56 percent think nontraditional sports are more generationally relevant. Traditional college sports must find new ways to engage this generation and create the fan experience these students want. Gen Z students still have the potential to be avid sports fans. However, they want a more engaging fan experience than simply rooting for their favorite teams. Help build your campus fanbase by hosting post-game events that highlight the best plays and build excitement. Also, share those game highlights on social media and your website. This will give Gen Z students ample opportunity to participate and connect with your team. This generation connects with each other and brands on social media. Ninety-six percent own smartphones and 85 percent use social media to learn about products, offers and promotions. Gen Z feels that social media broadens their views. 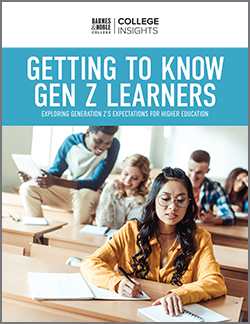 Forty-four percent of Gen Z students say that social media deepens their relationship and connection with friends and peers, according to Barnes & Noble College Insights. Social media provides students a way to show their support, and it helps build excitement for upcoming games and events. To reach this group, brands and sports teams must have an active presence on the social media platforms favored by Gen Z students. If Gen Z sports fans are hard to reach using traditional methods, then look for nontraditional ways. How does esports market to this generation? What can traditional college sports learn from it? Google reported that Gen Z males had a 50 percent increase in time spent watching funny sports videos and a 60 percent increase in time spent watching sports interviews. Consider partnering with your school newspaper, journalism school or communications department to start a YouTube channel that reports on campus sports news and conducts player interviews. Or, look at starting a podcast that does a post-game wrap-up and interviews players and coaches about the game. Utilizing these less traditional channels could help reach more Gen Z students and build your fanbase. In 2017, the popular social media platform Snapchat introduced “Trash Talk Stories” during March Madness. Students submitted their best trash talk video against rival teams. Selected videos were included in the 30 “Our Stories” available to users during the tournament. The videos also included game and event footage, highlighting the participating schools, teams and fans. What helped make this a popular event is that it included sports fans in the excitement of the game and the win. Your school can build on this idea by creating a fan video challenge. Challenge students to show their team spirit and pick your team’s superfan. Host a game prediction challenge or a best at-home watch party challenge. Think of ways to engage all fans and build pregame excitement. People love to fill out their March Madness brackets. Fantasy football continues to be an incredibly popular gamification of a traditional sport. These fan competitions create excitement and encourage fans to watch games they otherwise wouldn’t. Gamify your fan experience to make it more exciting for the people participating from home and help students to feel connected to your team. One way to take your fan game to the next level is to partner with the campus store. Create special online promotions for participants that give students access to exclusive merchandise. Also, utilize your college store app to share game day deals and coupons. 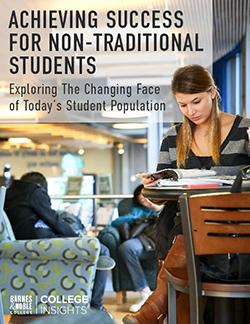 It’s important to understand what sets Gen Z students apart from previous generations and the trends that influence them most. By finding new ways to engage students, you can reenergize your fanbase and create the fan experience that Gen Z students want.